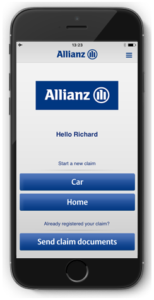 Phone Allianz customer services by dialling their car insurance contact number 0344 209 0841 to get a quote for your motor policy or to renew your existing cover. Furthermore you can add windscreen protection and breakdown cover to your policy in order to get free roadside assistance following a vehicle failure. You can also call this helpline to receive a no claims discount on the cost of your policy if you have not previously had to get an insurance payout due to your safe driving, although please note that your cover may be invalidated if you do not supply them with a certificate proving your eligibility for this bonus. Phoning Allianz on their UK car insurance contact number 0344 209 0841 will cost you the same as making an equivalent call to an 01 or 02 area code phone number as these are charged at local rates. Therefore you will pay your provider an access charge to make the call as well as per-minute fee which depends on how long the call lasts. Alternatively you can contact Allianz for free if you have free inclusive minutes remaining on your monthly tariff or rewards bundle from your network provider. Allianz home insurance advisors can be contacted on their customer service phone number 0344 209 0841 for general enquiries, to renew your house policy and to notify them that you are moving to a new property. You may also be able to add protection for your valuable possessions under a contents cover agreement however please note that your premiums will be affected accordingly for possessions over a certain value. They have a team of specialist advisors ready on this helpline if you suffer a home emergency such as burglary, flooding or fire so that you can claim back the damages. Contact the Allianz Global Assistance unit on their London phone number 0208 603 9653 for travel insurance enquiries, where you can get a quote for either a single-trip or multiple holidays throughout the year. They also offer a range of special policies for adventurous travellers who wish to go skiing abroad as well as packages which cater for marriages, meaning precious items such as your dress and wedding rings will be protected without having to take out separate policies. Please examine the table of collated Allianz travel insurance phone numbers below if you or a member of your party suffers a medical emergency overseas, where you can also find support if you have lost important travel documents such as your passport. Phone Petplan on their general enquiries contact number 0345 071 8000 to speak to an Allianz customer service advisor about your pet insurance policy. For example if you have a new cat, rabbit or dog you can call this helpline for a quote to insure your beloved animal against the cost of veterinary bills. If you already have an animal in your home you may be eligible for a multi-pet discount to help you save even more money. You should also call this helpline to make a claim with Petplan in the unfortunate case that your pet has had an illness or has passed away. Lines are open 8am-8pm Monday-Friday and 9am-5pm Saturday so please do not attempt to call Allianz pet insurance on a Sunday. Musical instruments are particularly valuable items especially for those who rely on them for their livelihood, therefore consider contacting Allianz on their dedicated phone number 0330 100 9903 to get a quote for your instrument cover. This protects your instrument against damages incurred due to damage or theft, therefore you should also call them to update your personal details in case you move home so they can send a cheque to the correct address. Phone Allianz business insurance on their customer care contact number 0330 102 1998 to get a quote to protect your office space, for public liability enquiries and to claim following an accident to a company motor vehicle. You should notify your broker as quickly as possible if your corporate circumstances have changed, for example if your company has changed ownership therefore your finances are now handled in a different account. Moreover if your company specialises in engineering, property or marine cargo transportation you can call this helpline for details about their dedicated policies. Customers who prefer to contact Allianz in writing can use a number of ways in which to contact the insurance broker including office addresses for handling letters and emails. Moreover you can post public messages on their UK social media profiles to elicit responses from their customer service advisors. Policyholders can write to Allianz Insurance by sending letters to their dedicated customer service postal address located in Bristol, please do not include any sensitive payment information such as bank details as letters can be intercepted by criminals. If you have a customer service enquiry for Allianz you can email them via their address help@allianz.co.uk which is convenient for sending evidence relating to a claim. Please be aware that they may take up to 3 days to reply to your enquiries so you should call their telephone helplines outlined above if you have any emergency queries. Allianz operate several profiles on popular social media sites used in the UK to advertise special rates on their insurance policies. This is advantageous for existing policyholders as you can use some of these profiles as a method for contacting their customer service staff regarding a problem with your insurance.